On my birthday i went out to explore some of the surroundings, through a dirt road that could possibly be a fire escape route. While turning back, a branch pierced through the front left tyre, damaging it beyond repair. 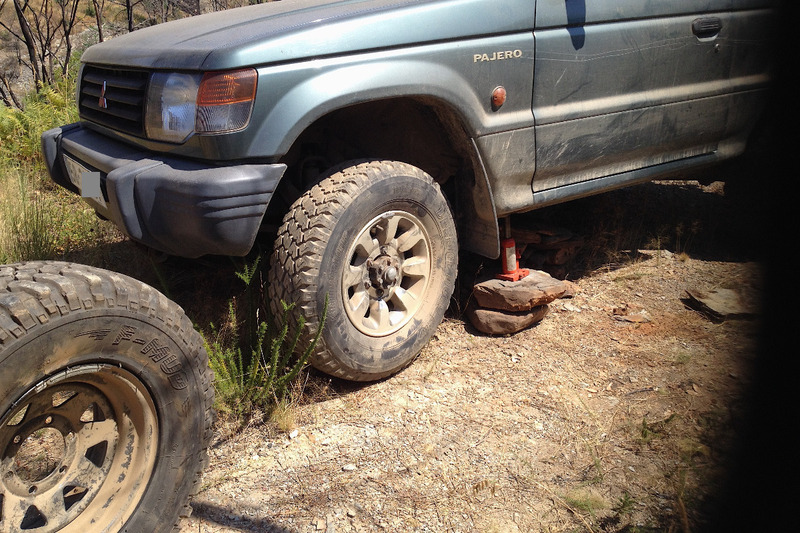 It was quite an adventure to just change the spare wheel, as the jack we have doesn't lift the jeep up enough because the all-terrain tyres are quite large. I managed to improvise a stone wall to hold the jeep lifted as far as the jack would go, then raise the jack on more stones to lift it up further!... And it worked. But one of these tyres costs 100 euro. And i just thought you might like to help keep me from losing € 100 for birthday. Any donation is welcome. I'm 51 today. Thank you! 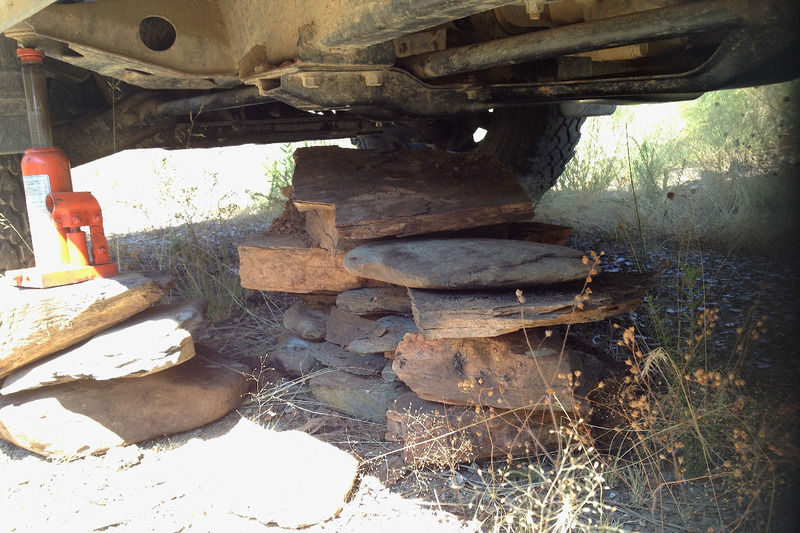 The stone mound under the jeep - it was pretty crazy but worked just fine!